There are perks to staying with us on the campgrounds or in the Lodge on the Lake! We schedule early morning and late night activities that are only available to you! You must be an on-grounds guest (staying at Darien Lake in the campground, RV, Cabin or Hotel) to participate. S’mores anyone? How about some acoustic worship to go along with the sticky, chocolatey goodness? 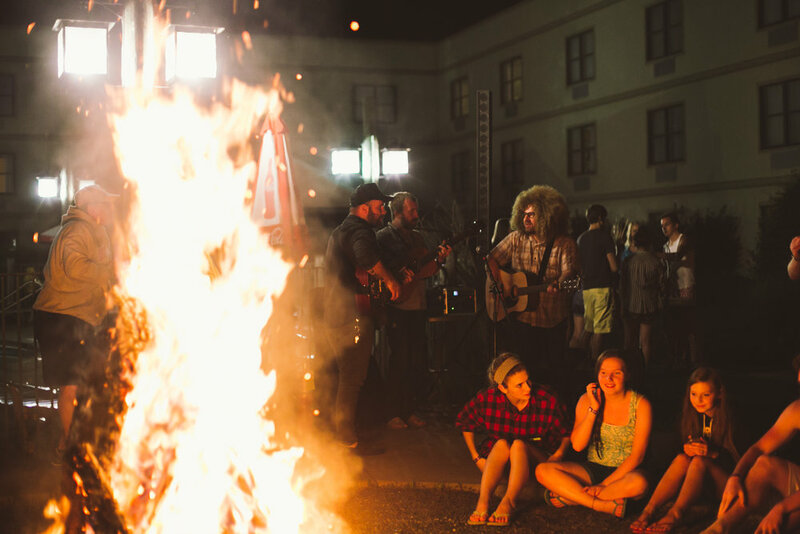 Staying in the hotel but want that campfire experience? Come outside the Lodge on the Lake to enjoy live music with an artist to be announced as they lead songs around the fire. Staying in the campgrounds but want to connect with other families and groups? We’ve got a campfires for you, too! The concerts might be done for the day…BUT…the party is just getting started! Join us after the main stage performances are done for some awesome energy inside the Amped Tent. Artists Coming Soon! There’s just something about waking up in the morning, grabbing a cup of coffee and hearing great worship echo through the campgrounds. Each morning, exclusively for on-grounds guests, we offer worship to start your day with some of the key artists you’ll hear later in the day! Love the spotlight? 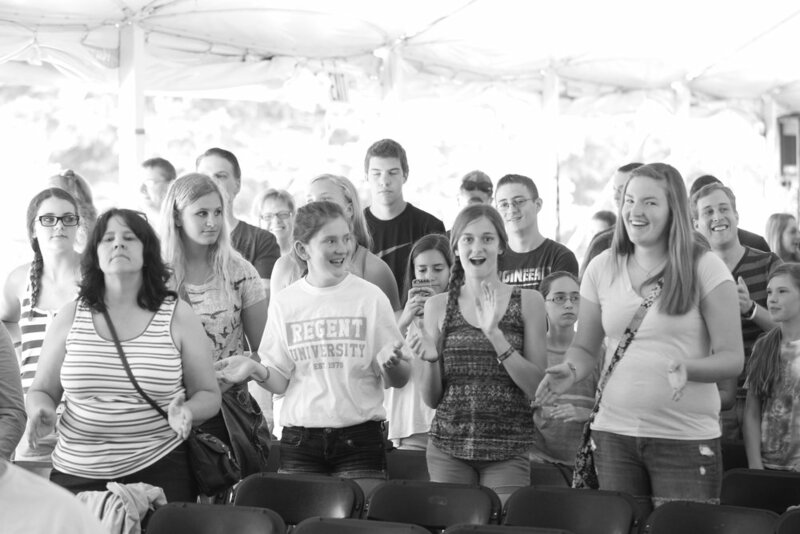 Wish you could someday be a headliner at Kingdom Bound? Or do you just love to have fun on stage with your friends? We do it all late-night. Participate in OPEN MIC! Talent can include dancing, acrobatics, acting, drumming, playing an instrument, etc. Include a short video clip/link to a clip online if you have one… “Acts” should be less than 5 minutes long and easy to do on stage…if you have a CD with a track to sing to, you need to bring that with you; if you have your own instrument(s), you need to bring them. Reminder: You must be an on-grounds guest (staying at Darien Lake in the campground, RV, Cabin or Hotel) to participate. Not quite so high energy as to pick up a Karaoke mic? That’s ok…enjoy a movie with your friends each night in the Amped Tent. (Schedule to be released soon). We like to have fun surprising people. We also love to connect you on a very personal level with the Artists and Speakers that come to the Kingdom Bound Festival. Keep your eyes and ears open! The BEST way to stay up on everything is via Social Media (click your favorite icon on the bottomof this page).